One Thing Every Follower Needs to Know! One Thing Every Follower Needs to Know: Who is Leading the Leader? This month I’ve been plowing through the Bonhoeffer biography entitled: Bonhoeffer: Pastor, Martyr, Prophet, Spy by Eric Metaxas. It it an intriguing story of a man that God used in extraordinary ways during the rise and fall of Adolf Hitler. There is one particular section that speaks to leadership. As Adolf Hitler was rising to power, Deitrich Bonhoeffer saw something powerfully dangerous about him. His attitude toward his own leadership was faulty in one primary way. He saw himself as completely autonomous and unaccountable. This made him a very dangerous person to have and wield power. Two quotes speak about one issue, from two different angles. A leader who leads well understands that his authority is given by a greater authority. There has to be someone, or a group of people that the leader must account to. 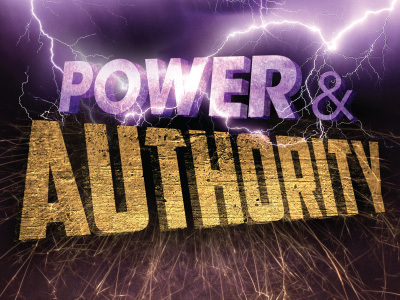 For the Christian leader, ultimately the authority is God through His Word. But the leader must also have people to whom he/she is accountable. As well as lving under the authority of others, leaders must communicate a clear understanding of authority. He speaks of helping see the authority of orders and offices. For example, as a pastor, any authority I exercise is by virtue of my office and role. It is this role that carries an authority within the order of the Body. People don’t need to follow “Jim Renke” authority, but an authority of the office and role, as defined by God’s Word. And ultimately, as Christian leaders, our leadership responsibility is to point people to the great authority, Jesus Christ, to whom all authority in heaven and on earth has been given! No leader should encourage people to be loyal to him/her, but to the real object of loyalty, that is Jesus and His lordship. You can see that Bonhoeffer believed that any leader must recognize the importance of the authority over him/her. No leader has the right to exercise authority, outside of the God-given limits of their roles and responsibilities. And ultimately, all authority rests with the One to whom it was given.